 Objectives This study examines the impact of work-related psychosocial and mechanical risk factors for work disability in the general working population. Methods A randomly drawn cohort from the general population in Norway aged 18–66 years was followed for 3 years (N=12 550, 67% response rate at baseline). Eligible respondents were in paid work for ≥10 hours per week in 2006 and were still in paid work or had quit working because of health problems (work disability) in 2009 (N=6745). Five work-related psychosocial factors and eight mechanical exposures were measured. The outcome of interest was self-reported work disability at 3-year follow-up. Results In total, 2.6% (176 individuals) reported work disability at the 3-year follow-up. Disability rates were higher among women, older workers, and those with fewer years of education and higher levels of psychological distress and musculoskeletal complaints. After adjusting for these factors, work-related psychosocial predictors of disability were low levels of supportive leadership [odds ratio (OR) 1.61, 95% confidence interval (95% CI) 1.02–2.56] and monotonous work (OR 1.53, 95% CI 1.09–2.16). Mechanical factors were neck flexion (OR 2.49, 95% CI 1.36–4.56), prolonged standing (OR 1.79, 95% CI 1.21–2.46), whole-body vibration (OR 4.15, 95% CI 1.77–9.71), and heavy physical work (OR 2.23. 95% CI 1.08–4.57). The estimated population risk attributable to these factors was about 45%. Conclusion Monotonous work, prolonged standing, neck flexion, and whole-body vibration appear to be the most consistent and important predictors of work disability.